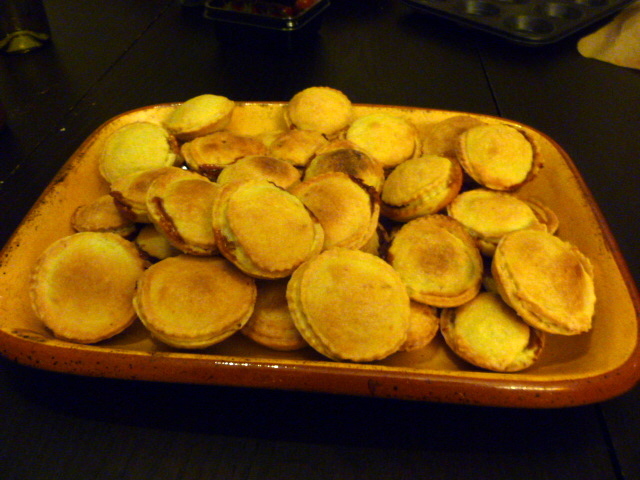 So, the Sunday after the Mince Pie and Mulled Wine party saw me once again cooking for friends. This time, it was an international Christmas Dinner, at which we had guests from Australia, Germany, the Netherlands, the UK and the USA. 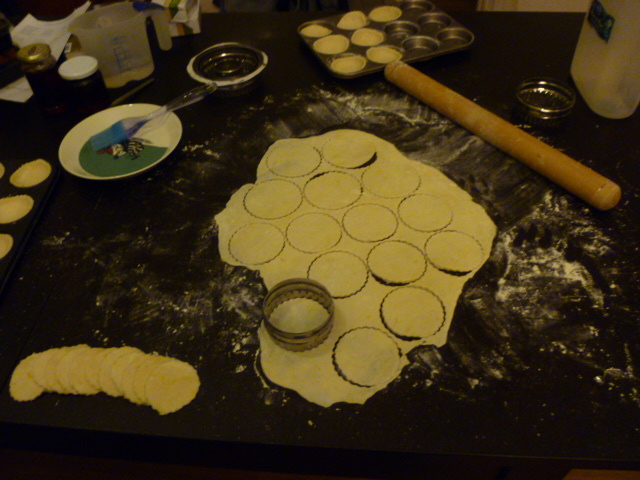 However, the dinner itself was an amalgam of British and Swedish traditions, so I guess we had the best of both. Traditionally, Swedes are pescatarian in nature, particularly when it comes to starters. I am sure that you have heard of the notorious Surströmming, which is the fermented variety, reputedly so smelly that you have to eat it outside. 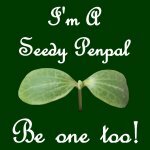 I have never had the pleasure, myself, so I am unable to report what it is like. They also love all manner of fish eggs from actual caviar, through Löjrom (from the Vendace, or Cisco), to the particularly nasty Kalles Kaviar, which is about as far from caviar as you can get, and is available in an Ikea near you, you lucky people. Can you tell that I am not a fan of fish eggs? Much more acceptable is their unfermented ways with herring, or sill as it is known. 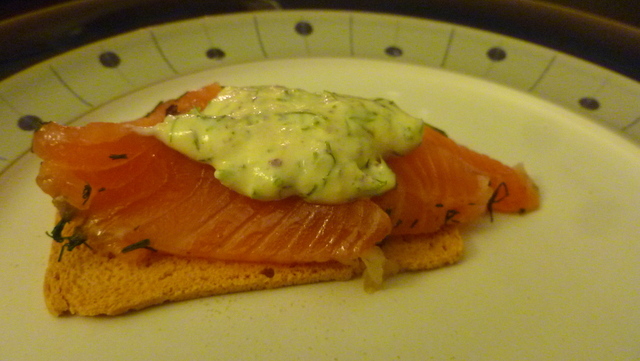 A really traditional starter, especially at Christmas is inlagd sill. You can also get this in various form from Ikea, but it is much, much nicer to make your own. 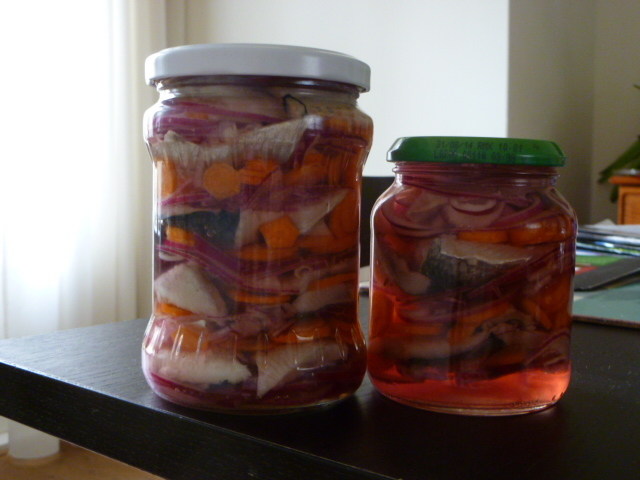 It is basically herring that has been stored in a sweet pickling solution. I made the traditional version, but you can also make it with dill or mustard within the solution, and the Swede in your life would still be happy. As with most fish dishes, they like to serve this with sour cream and finely chopped red onion. You can choose if you would like to have this with waxy potatoes, cooked with dill in the same way that Brits add mint to the boiling water; or with wholemeal toast or knäckebröd (a hard bread like Ryvita). We used up the last of the pink fir apple potatoes from our garden. Cut one onion in half, and slice thinly. Slice up 2 of the carrots as well. In a non-reactive saucepan (e.g. 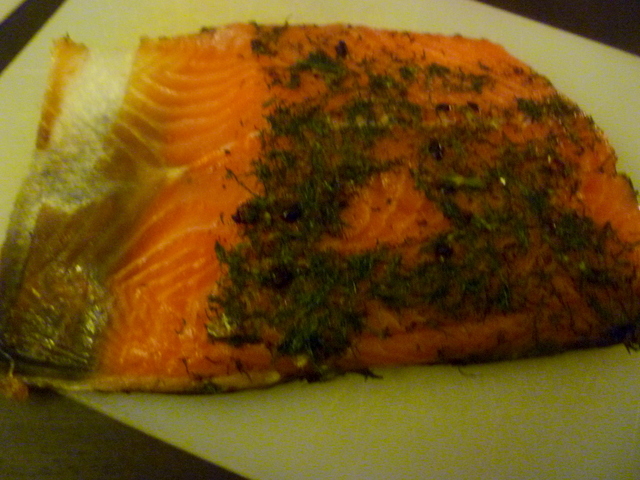 ceramic, stainless steel, preserving pan), put the sugar, chopped onion and carrots, bay, peppercorns and the vinegar. Bring to the boil, then set aside to allow it to cool completely. 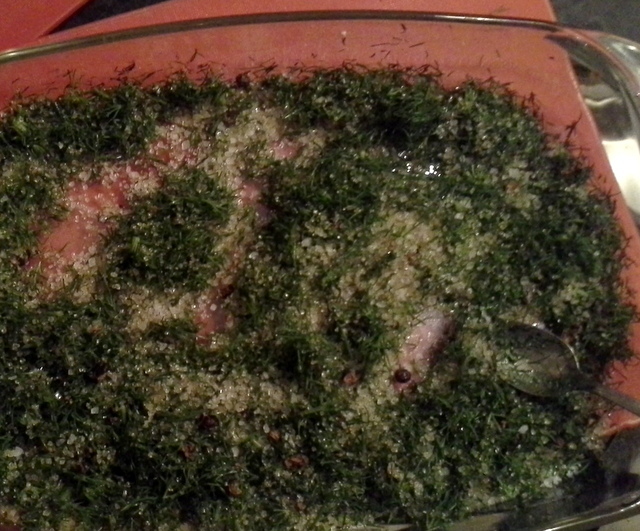 When it is completely cold, strain it off, reserving the vinegar to use on the herring. Don’t throw away the vegetables, they are really tasty. 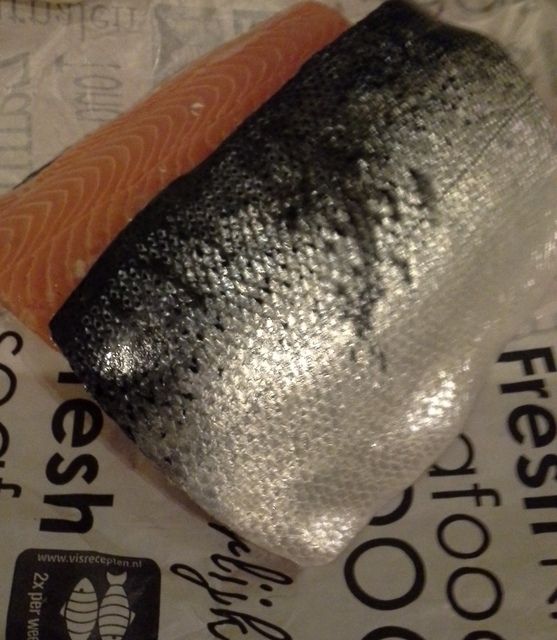 One of our guests doesn’t eat fish, so we gave him some of these on top of a toasted goat cheese. I have to admit that I scarfed up all the carrots from the sieve, as they were so good. The rest I had as a pickle with the bubble and squeak I made with the Christmas Dinner leftovers. Chop each herring fillet into 3-4 pieces, depending on the size. Chop the remaining onion and carrots as before. In a sterilised jar, layer the fish pieces, the onion and the carrot, then pour over the vinegar. Seal the jar, and leave for 24 hours or the flavour to develop. This method of pickling will keep the herring for about 3 weeks. Please keep it in the fridge once opened. Now, don’t get me wrong, I can’t stand the commercial run up to Christmas, which seems to start in about July in some places. I think that all the Christmas stuff should start in December, so that we don’t all get Christmas fatigue by the time schools start back. 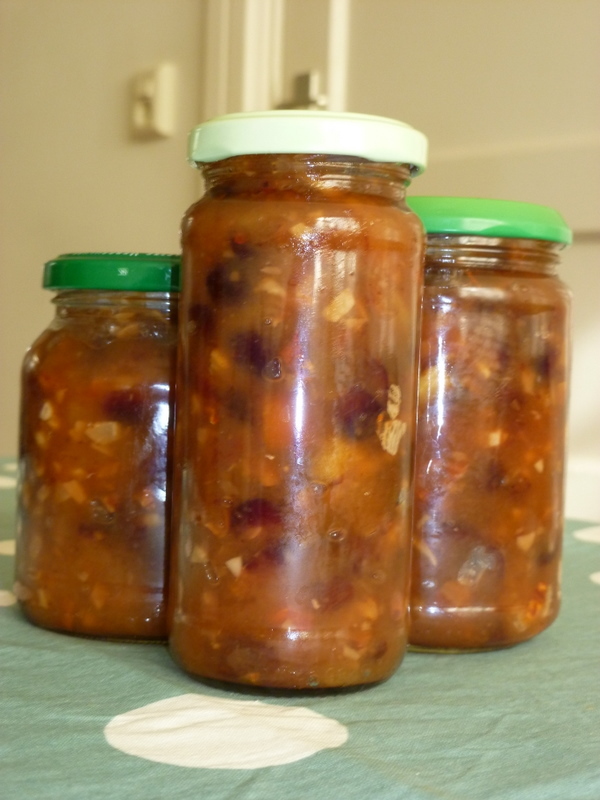 However, there are a few things that you need to get ready in advance, and homemade mincemeat is one of them, as it needs time to develop and for the flavours to meld. At a small food fair last weekend, we picked up a bumper load of pears for next to nothing. I poached some, while they were still firm, but there were too many to eat like this, or to have as a fruit on their own. We also had cakes, compote and so on, but what I really wanted to make with them was the Pear and Ginger Mincemeat that I had seen in Pam Corbin’s Preserves book. 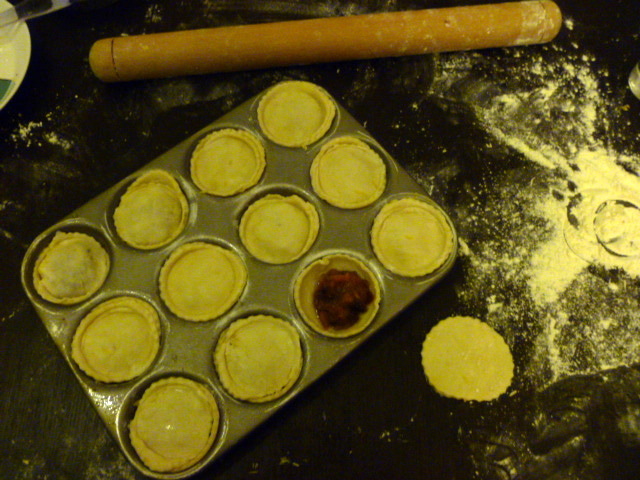 I have been making my own mincemeat for a few years now, if only to prove that I can. Here in the Netherlands, it becomes necessary if you don’t want to add it t o the list of Stuff Visitors Have To Bring You. Our list is long enough, with English mustard, Pimms, Salad Cream, veggie suet and so on. The Big Guy also asks for Brown Sauce, despite being Swedish. I think he has assimilated. This mincemeat ticks a load of boxes for me, since I love pears, I really love ginger, and we regularly host a Mince Pie and Mulled Wine each Christmas, and you can’t have that without sweet mincemeat. I made a couple of amendments to Pam’s recipe. I have not yet seen cooking apples in the Netherlands, so I only used eaters, but I took half of them and stewed them until they were quite liquid. 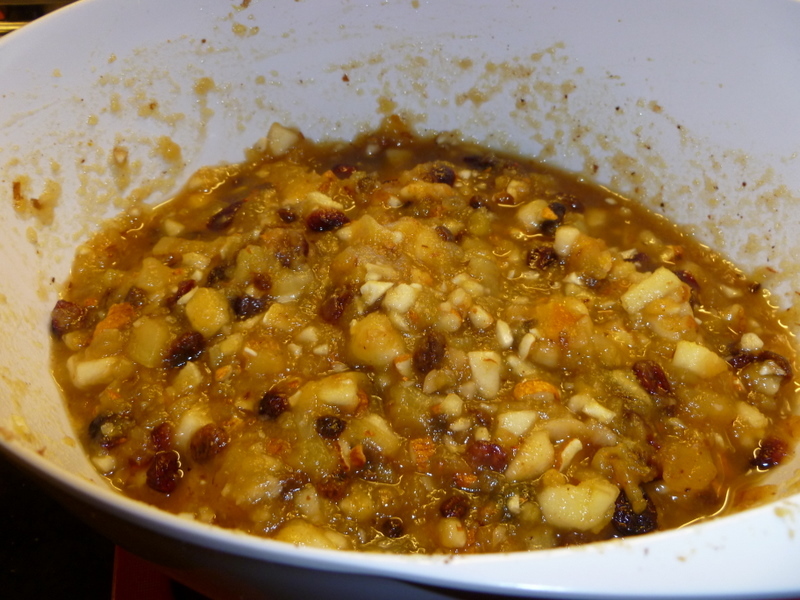 I think it needs to have some more liquid contents, as this mincemeat does not use suet (which I always substitute with vegetable suet, so that any veggie or vegan friends can also have some), so the stewing will prevent you having dry mince pies. Secondly, instead of all of the sultanas and raisins she suggests, I added half sultanas and half dried cranberries. There is something great about dried cranberries, and they are traditional Christmas fare, albeit not in the sweet courses! I also made my own candied peel – much nicer than the tacky shop bought stuff. I cannot recommend enough trying this version for yourself. Just look how great it looks, and the smell is something else. I could not resist trying a teaspoon, and trust me, this is the best mincemeat ever, even before the flavours have had time to meld and develop.